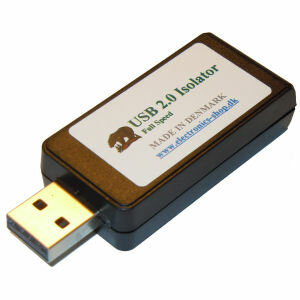 Buy 10pcs USB 2.0 Full speed isolators and get both volume discount and free tracked shipping. The prices shown are all for 1 pcs. - if you buy more of the same product - you get discount! See discount prices by hovering the mouse over the prices or by adding the product to the cart and update the quantity you want to buy. Please note the above package weight for free freight are <5Kg for danish customers and <2Kg for other customers.